We love vintage! and we love gold! That’s why we combine two of them and design it simply. Our golden unicorn invitation being popular because its vintage-ness. 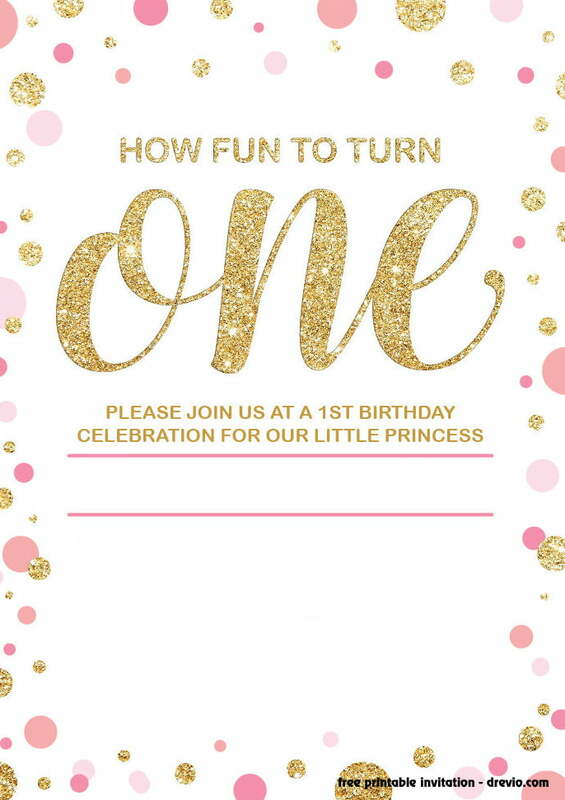 Today we will design free printable invitation for your kid’s first birthday party. Remember, all of these invitation is free to use for your personal use only! 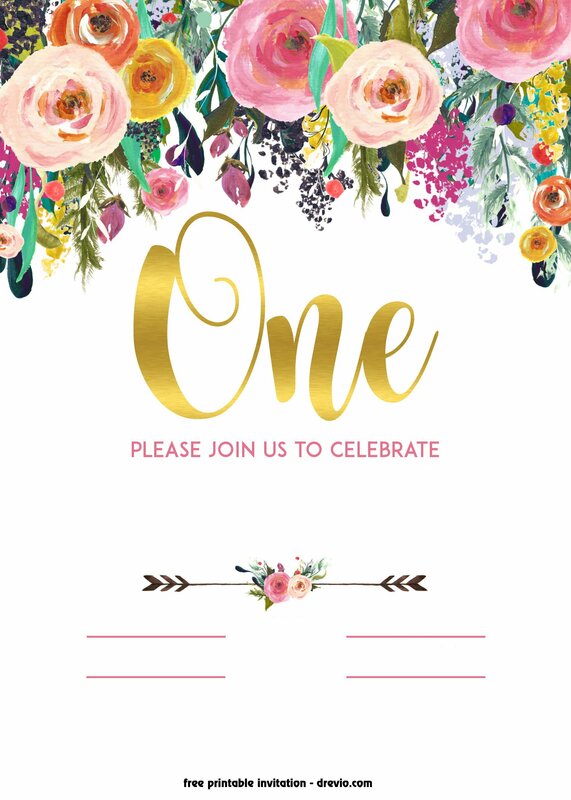 These 1st invitation template comes with so many floral design. It looks similar, but it’s totally different! 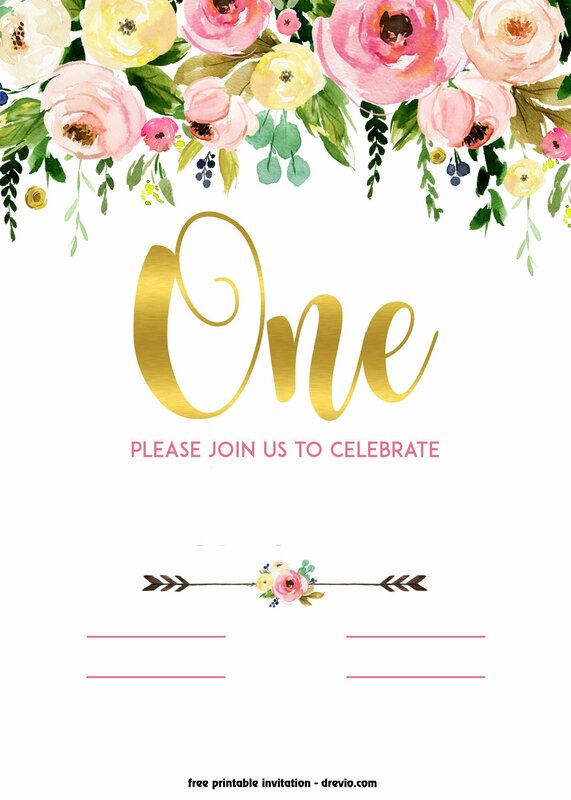 Measures 7×5″ you will be able to customize this invitation easily. 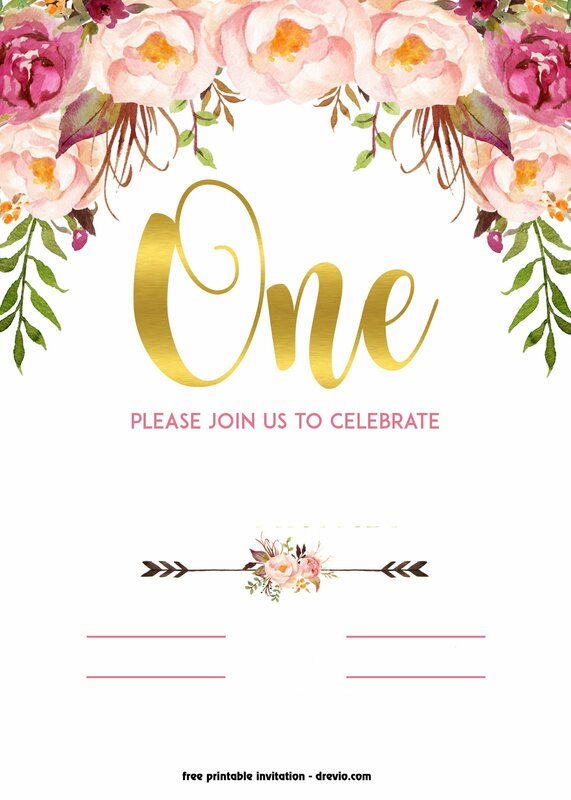 Download it by clicking on the invitation, save the image as and you’re ready to go! Write down your birthday party details on it, like time, date and location of your birthday party.Remember to bring the best 1st birthday wording ever! Coz, it will be unforgettable! If you’re able to operate Corel Draw or Photoshop, then your job will be so much easier. Download it and customize it. You can add fancy text on it. 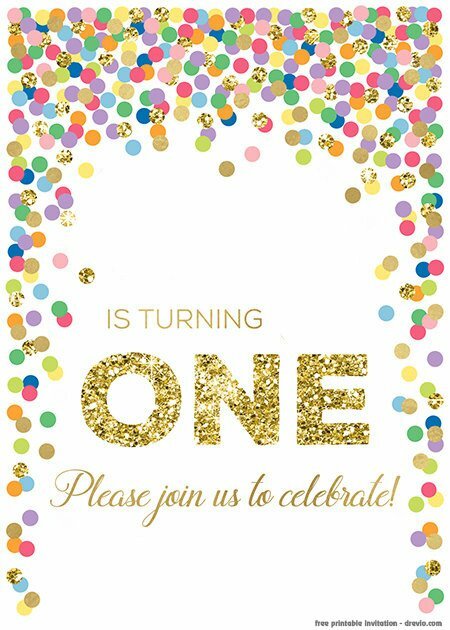 Get FREE Printable 1st Birthday invitation below. Simply click on that invitation, you will see the border over there. When you’re done, simply go to your nearest printshop, or if you have your own printer, you can print it. We always recommend cardstock paper where it brings authenticity and premium feelings to your invitation. You can easily buy it on Amazon.com.